The Valley Japanese Community Center, 8850 Lankershim Blvd. in Sun Valley, hosts its annual Obon Festival on the weekend of June 17-18 from 5 to 10 p.m.
Crowd-pleasing and classic all-time favorites such as udon, teriyaki beef, sushi, Chinese chicken salad, fresh roasted corn on the cob and homemade baked goods are some of the foods that will be available for purchase. Live demonstrations of judo, karate, kendo, tea ceremony, minyo odori and taiko will be given. Festival-type games, exhibits of calligraphy/sumi-e, and schoolwork completed by Japanese School students will be featured on both days. Special guest L.A. Taiko Echiza will fill the air with their thunderous drumming on Sunday. 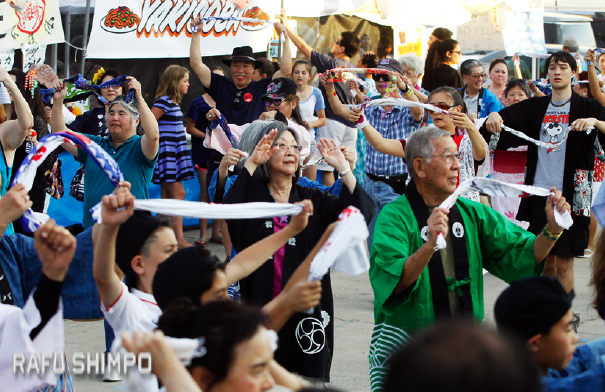 After the demonstrations, join in the Bon Odori dances. These are dances of joy, so age, looks or experience should not inhibit anyone from entering the circle of dancers. For more information, contact Christine Inouye at [email protected] or (818) 825-9583 and leave a detailed message.